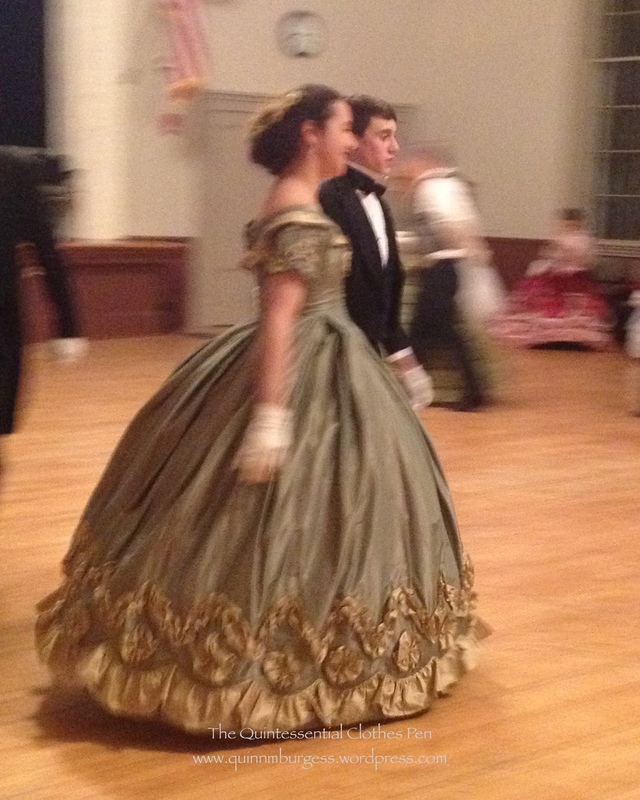 Back in March, I was again able to attend The Commonwealth Vintage Dancers‘ annual strictly-Civil-War ball (this is the 5th year I’ve been there, wow!). It’s been a joy every year I’ve attended and this year was no exception. Unfortunately, I only had my phone to document the evening, which means my pictures came out rather blurry. Here’s just a few. Obviously, the most important thing to document was that I was able to wear my Refreshing Apron for the first time with a mid-century dress. 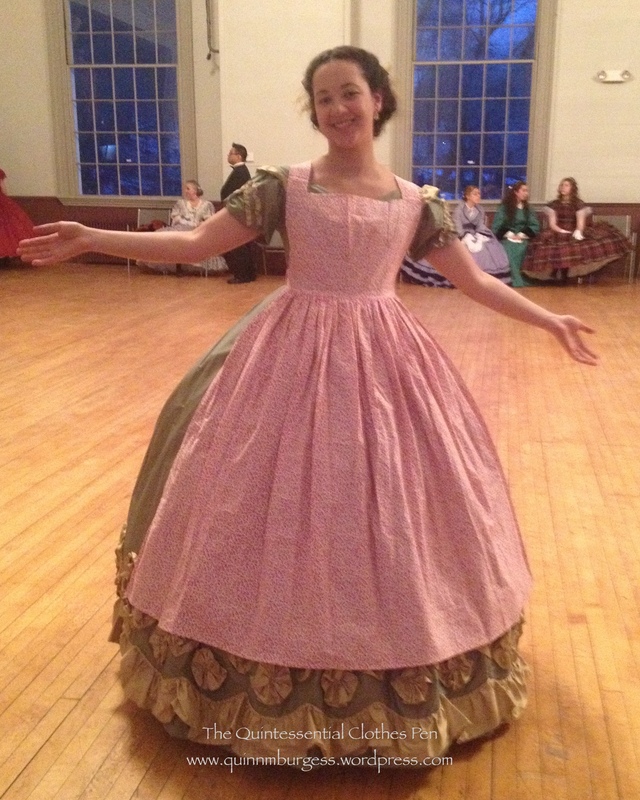 This entry was posted in 1860s, 19th Century, Vintage Dancing: 19th Century, Wearing Reproduction Clothing and tagged 1860s, American Civil War, Clothing, Crinoline, Historic Clothing, Victorian, Vintage Dance, Women's Clothing. Bookmark the permalink.